With meticulousness, hard work and commitment, our organization has developed in order to become a reputed trader in Bilimora(India). Emerged as an eminent Supplier, we are well-known for dispatching the comprehensive range of Gelcid MPS Antacid Suspension. 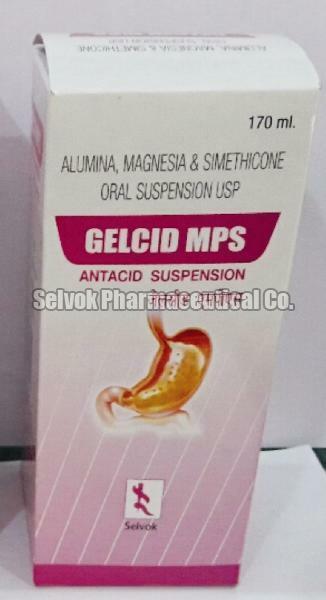 The Gelcid MPS Antacid Suspension is used for the treatment of Hiccups, Heartburn, Peptic ulcer, etc.